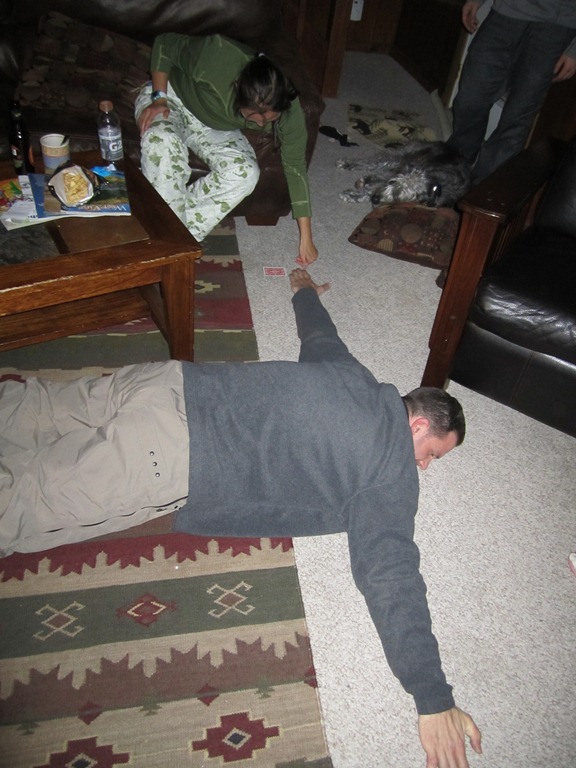 The next day at Snowshoe, I took it easy. I know it sounds crazy that I didn’t want to go out skiing, but I was really looking forward to sitting around the house, reading, enjoying some beers and chilling out. In the afternoon, I decided to crack open my first beer! 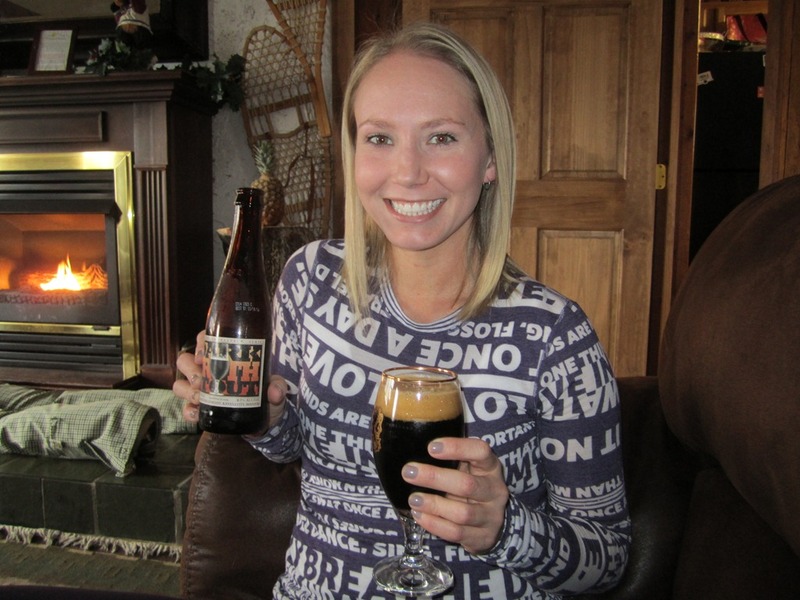 I had the Moa Imperial Stout by Moa Brewing Company of Blenheim, New Zealand at 10.2% abv. I love stouts, but the reason I got this one was because it’s the first beer I’ve had from New Zealand. I was surprised and almost overwhelmed with the amount of carbonation. I had to wait quite a while for the massive head to settle down to get this picture. I was dying to taste it, the wait was killing me! 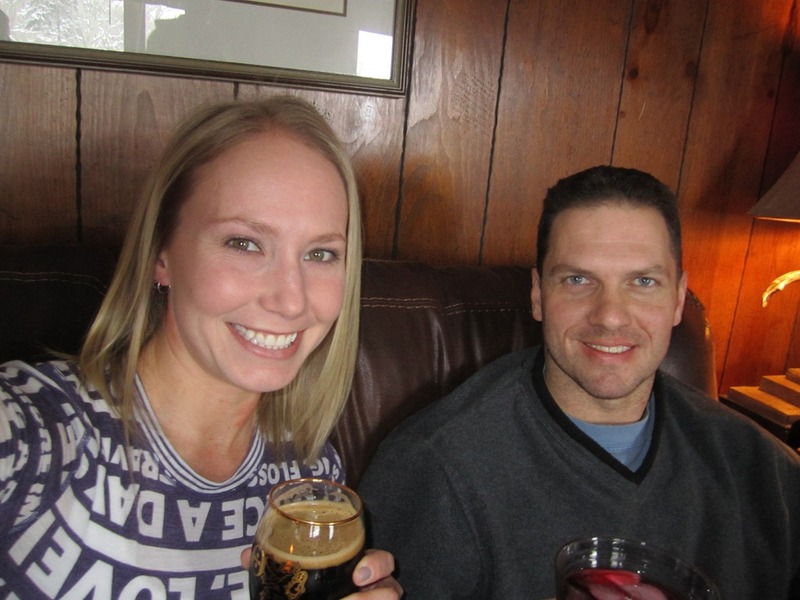 After tasting, the most notable thing was the woodiness and smokiness of the beer. It does say on the bottle that it was aged in Pinot Noir barrels. Dark fruits and grapes. Thin and a bit estery. Almost a little bitter, possibly the red wine coming from the barrels. Throughout the afternoon, people were popping in and out of the house to warm up. By the evening, everyone was ready for a nap. Next up, I had the Dogfish Head Midas Touch by Dogfish Head Brewing Company of Milton, Delaware at 9% abv. It’s a bit different of a beer for me, but really one of my favorites. Such a unique flavor, moderately sweet, honey, grapes (which turn out to be Muscat grapes), apricots, and citrus. Really smooth and full, but not sticky. 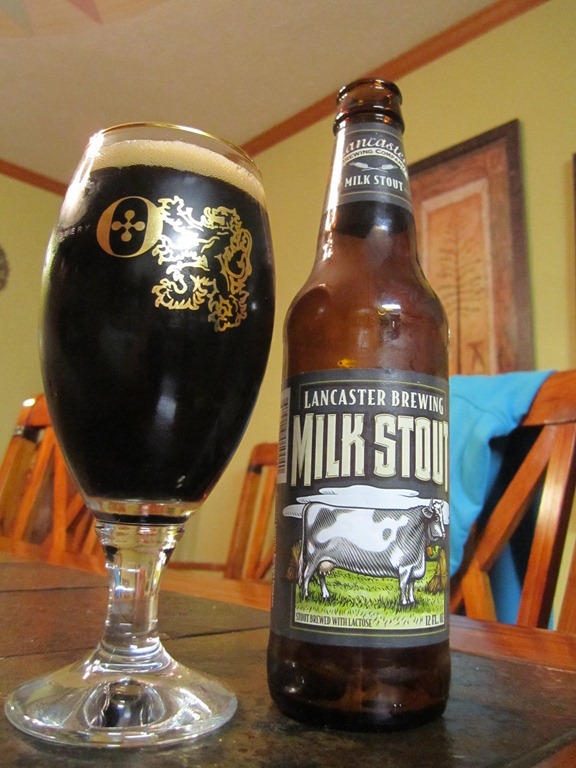 Later in the evening, when we started playing games, I broke out the Lancaster Milk Stout by Lancaster Brewing Company of Lancaster, PA at 5.3% abv. Not quite as thick as I was hoping for, but a very good milk stout. Smooth and chocolately, hints of coffee and caramel. Chewy oats, roasted malts. A light sizzle of carbonation. 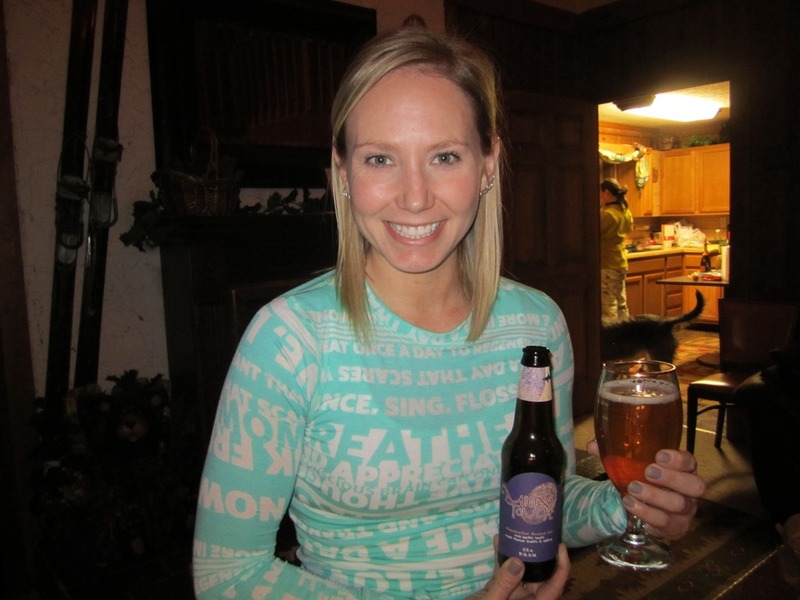 I tried some truly amazing beers this weekend! Many of them from exotic locations! It was great to try such a selection. A superb weekend. A big thank you to Novak for organizing! 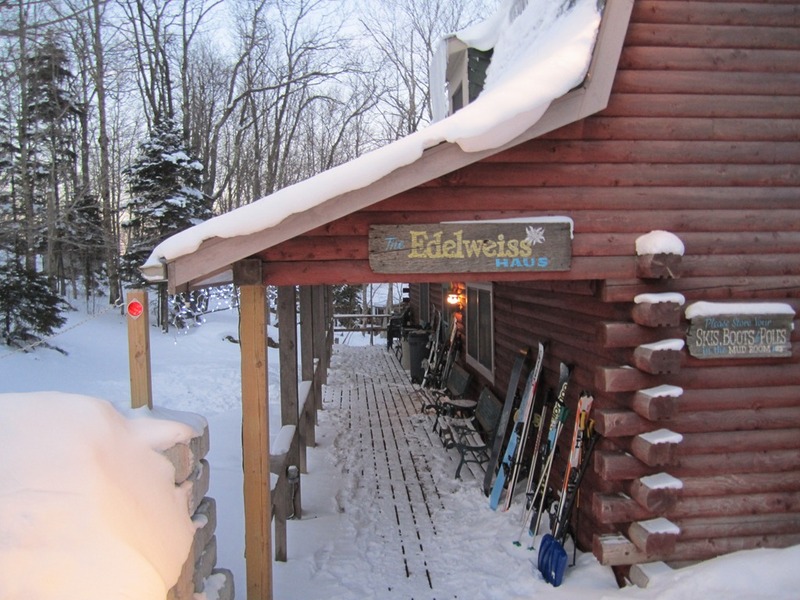 Every year for President’s Day weekend, Novak organizes a huge group of our climbing friends and rents an equally huge cabin in Snowshoe for a weekend of skiing and snowboarding. The house was really big, big enough to easily sleep 17 of us, and of course it had a hot tub! 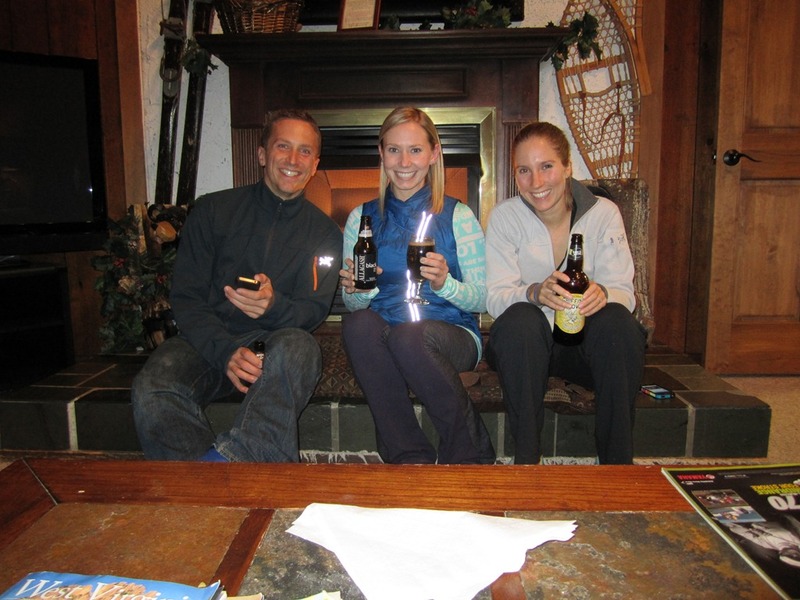 The first night there, while many people were still on the road, we had a quiet night and some beers around the fire! 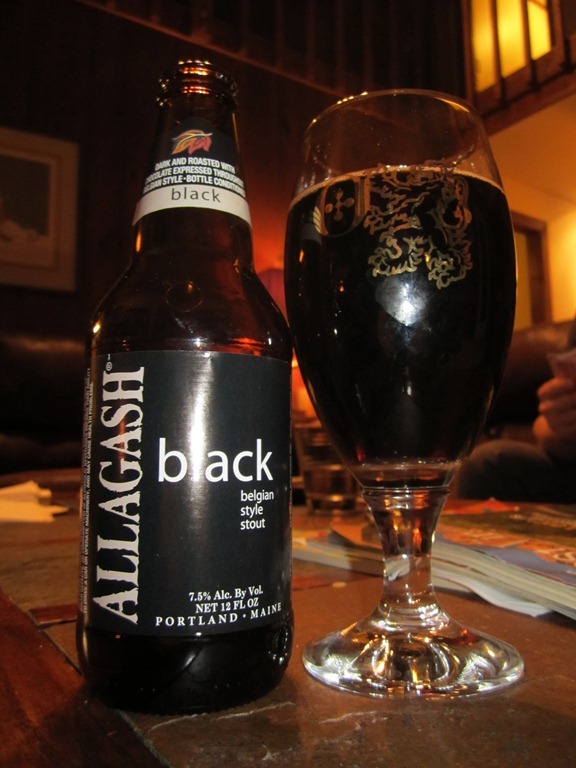 I started off with the Allagash Black by Allagash Brewing Company of Portland, Maine at 7.5% abv. 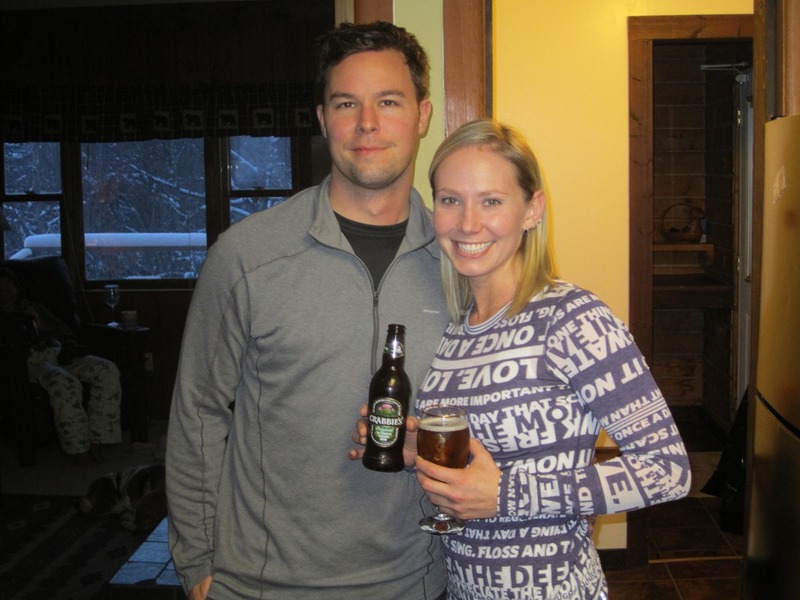 Allagash really produces quality beers. A lovely dark pour, rich and sweet Belgian dark ale. Smooth with chocolate, coffee, and roasted malts. Moderate, tingling carbonation. Heavy on the malts but with a dry finish. 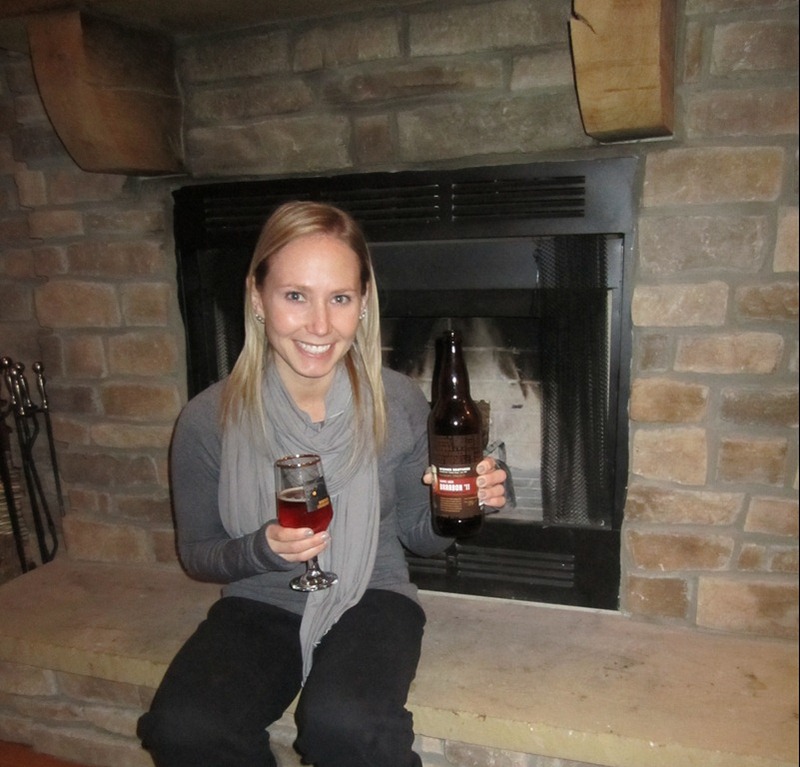 Such a good beer to enjoy in front of the fire! 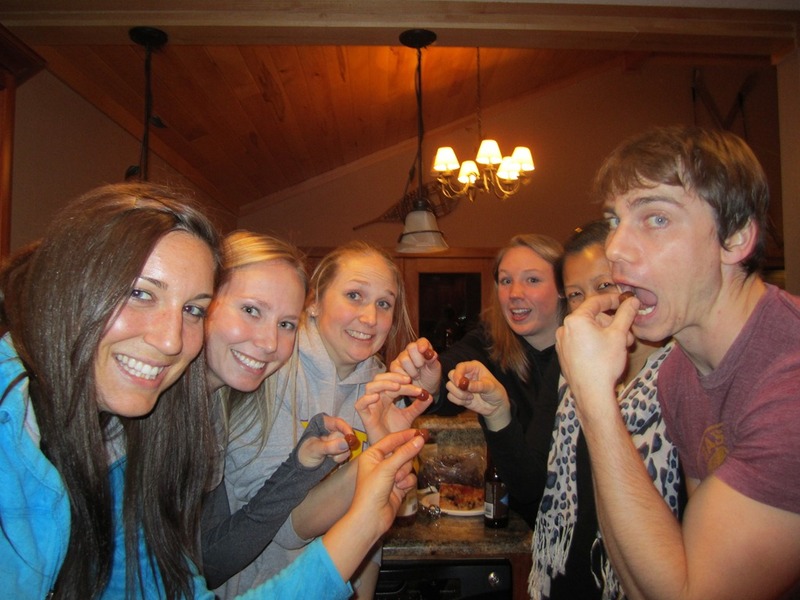 Since it was only the four of us we called it an early night to get ready to go skiing the next day. Over night we had about 6 more inches of snow! The skiing the next day was actually really good! But it was bitter cold! After quite a few runs, I called it quits in the afternoon. A hot shower later and I was back in front of the fire with another beer! I saw this beer in Total Wine and was really excited to try it! Again it’s a beer from Italy, and my last couple of beers I had from Italy really surprised me. I was hoping this one would as well. 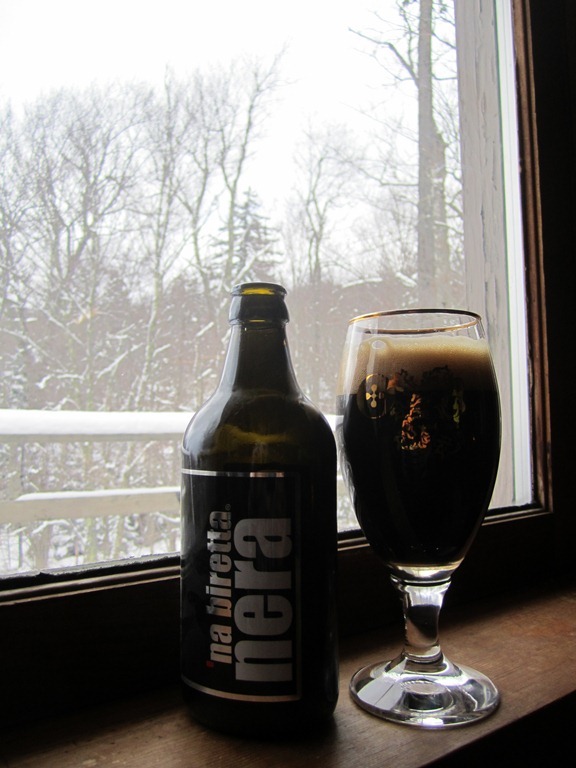 It was the ‘na Biretta Nera by Birrificio Ostiense Artigianale (OBA) of Rome, Italy at 5.5% abv. Even before opening, the bottle catches your eye, its not completely round, its oval or oblong shaped, somewhat reminiscent of a flask. I felt like this was a pretty decent Schwarzbier, roasted malts, slightly bitter. A little chocolaty, toast, with a slight smoky finish. It may be dark but it had a light body and a light mouthfeel. 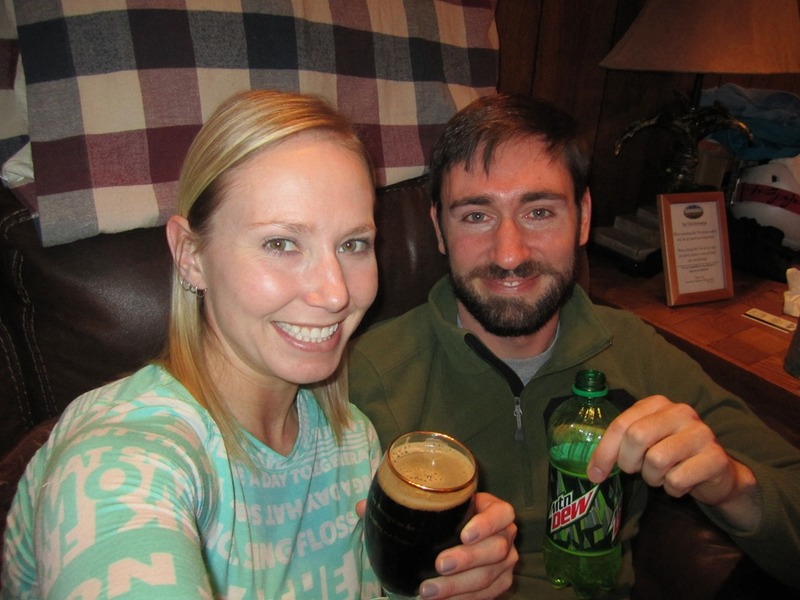 I also had the Dark Truth Stout by Boulevard Brewing Co of Kansas City, MO an American Double/ Imperial Stout at 9.7% abv. Good, full bodied, smooth and silky stout. Tastes of milk chocolate and roasted malts, a light bitter tang of coffee. More carbonation than I would have guessed, but not over powering. Not overly sweet. Next, I decided to try something light and not something I usually drink at all. I suppose ginger beers are better mixed with other types of alcohol, but this one already contained alcohol. It was Crabbies Original Alcoholic Ginger Beer of Scotland at 4.8% abv. No, I didn’t have it over ice with a lime like it suggested, but it was super enjoyable and refreshing. I cant believe there was alcohol in it! It would truly mix well with just about everything. 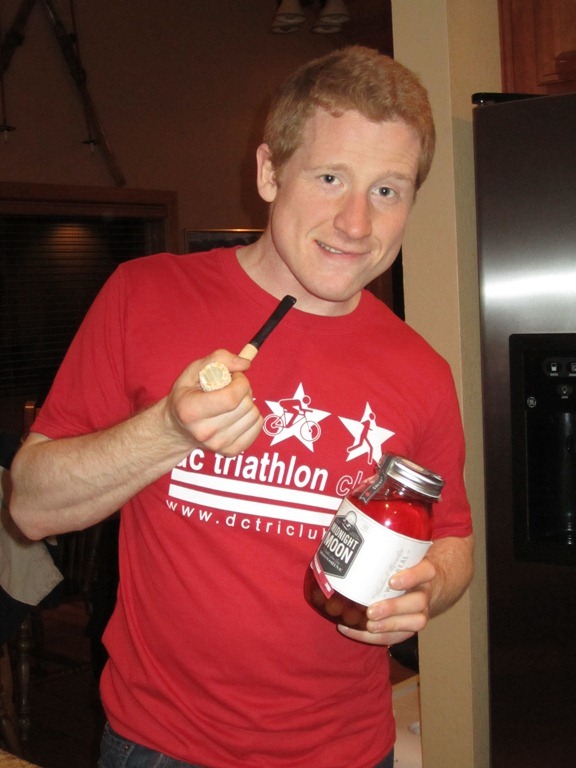 You could really taste the real ginger, a nice little bite to it! This is what climbers do when they’re indoors, they measure their Ape Index. Ape Index compares your height with your wingspan. Having a longer wingspan than height is very desirable for a climber. I was pleasantly surprised when I found out I have +1.5 inches! Now I have no excuse to not climb better! 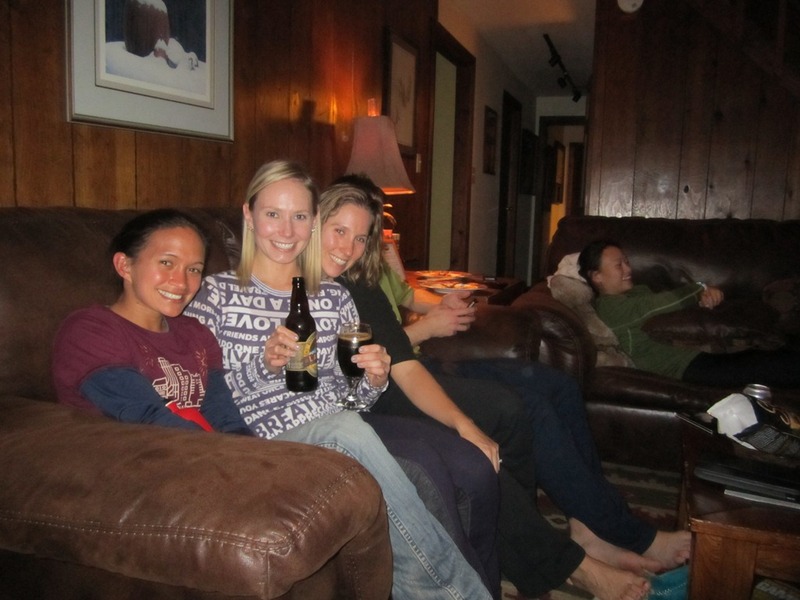 Even though skiing is the main draw for the weekend, I love just sitting around the house chilling! To finish off the night, I opened another “exotic” beer. 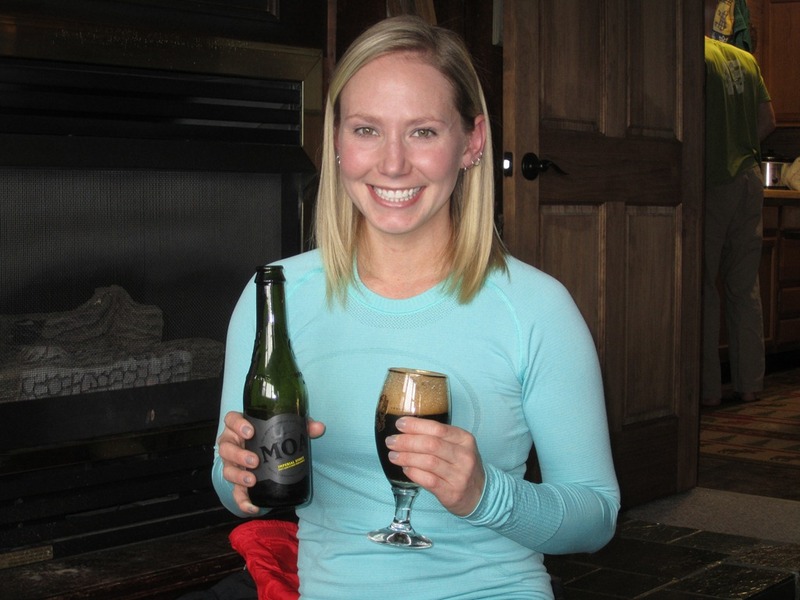 I grabbed this beer because it was a style I like, but also because it was from Iceland! I don’t think I’ve ever had an Icelandic beer! 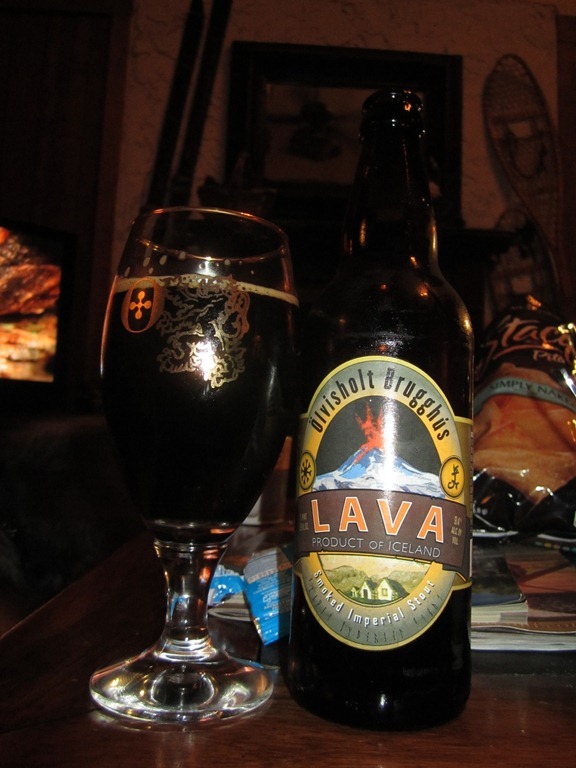 I had the Lava by Ölvisholt Brugghús of Selfoss, Iceland at 9.4% abv. Very much a Russian Imperial stout. Quite roasted, quite a bit of coffee, dry and slightly bitter. Hints of chocolate help soften it, a smoky charred woodiness. Brown sugar and molasses, smooth. Warming and a slow sipper. 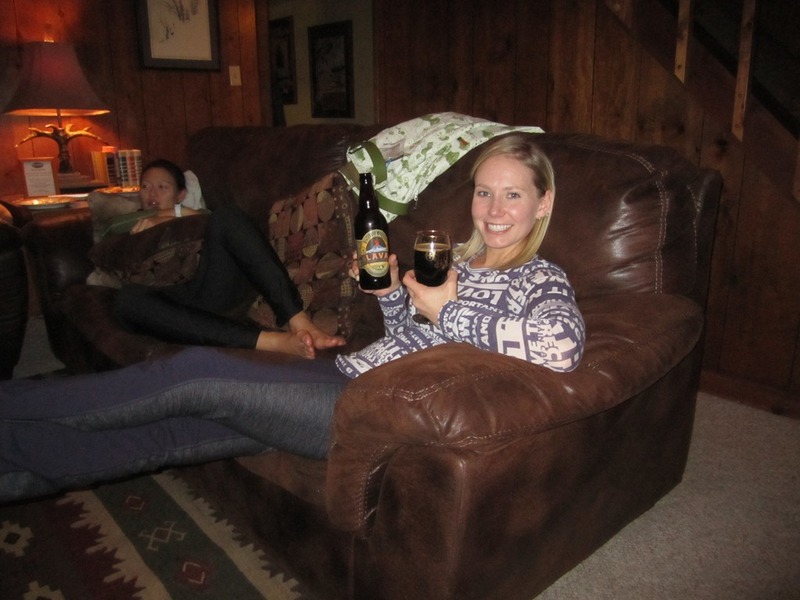 Its thick body and the slightly bigger bottle had me sipping on this beer for quite a while, it was the perfect night cap and the perfect end to a great day of skiing and house antics!